Celebration of Terry’s Life will be 6:00 pm, Friday, July 13, 2018 at the Pattison Park Pavilion. 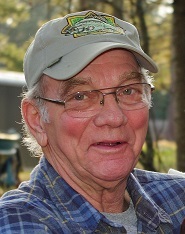 Terry A. Wheeler, 74, entered into rest Monday, July 9, 2018. He was born April 4, 1944 in Chippewa Falls, Wisconsin to Frank Lee and Dorothea Iona (Dustin) Wheeler. 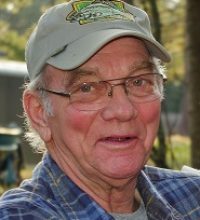 Terry served in the US Army. He enjoyed fishing, metal detecting and woodworking, but his real pride was in his family. He was a supportive, kind, and loving father, he will be dearly missed. He is preceded in death by; his parents; sister Virginia Sass and son-in-law Anthony Gronski. Terry is survived by; six children, Tammy Gronski, Tina (Ed) Lence, Ted (Randi) Wheeler, Teresa (Steve) Jackson, Trixie Posta, Tanya (Bernie Thompson) Wheeler; 10 grandchildren; One great-grandchild; 9 siblings, Richard (Marie), Kenneth (Donna), Judith Tallberg, Howard (Deb), Donald, Gayle Smith, Janette (Tom) Cline, Frank (Kathy), Loretta (Bill) Clickner; numerous nieces and nephews, extended family and friends.